Let’s make our dream engine together! 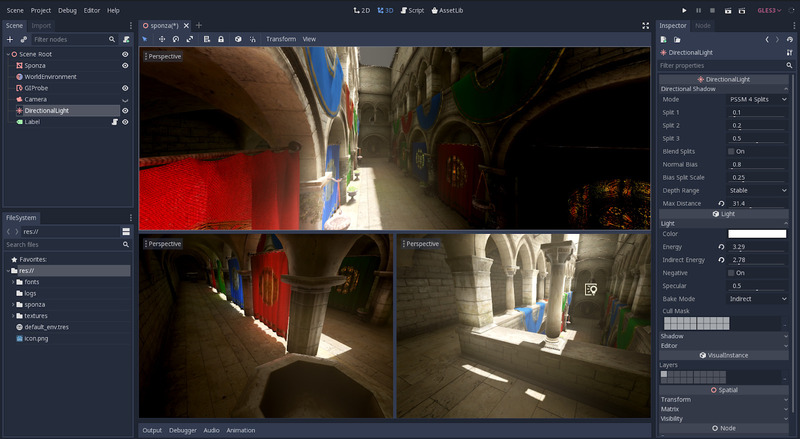 Godot is the first Free and Open Source game engine in the same league as the current big, commercial ones, with many innovations in workflow, features and usability. 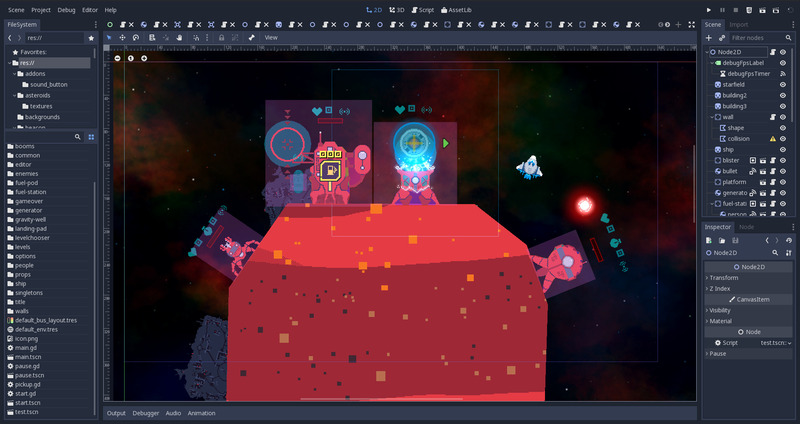 It offers a complete editor, dedicated 2D and 3D engines, animation tools, multi-platform exports, plugins, a Free asset store, and so much more! All that in a lightweight (30 MB) package that runs smoothly on Windows, Mac and Linux. 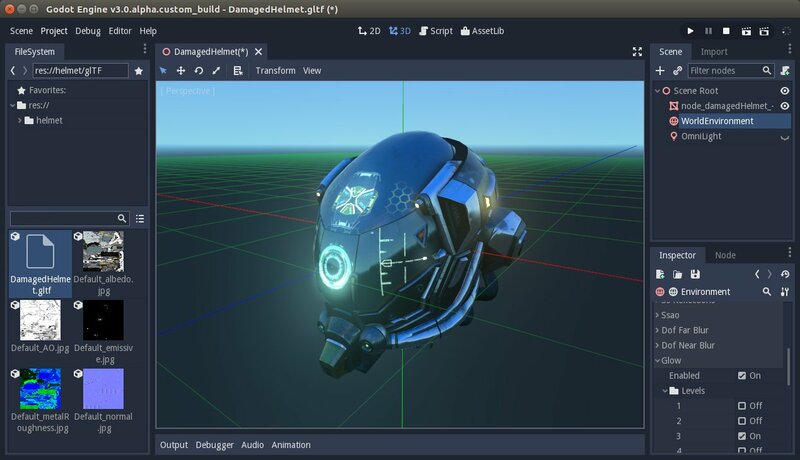 You can start using Godot now! Create games of any size and complexity using 2D, 3D, or both at the same time. You can publish your creations for desktop, mobile and web platforms. The engine's development is open, made hand in hand with the community. Juan Linietsky (reduz) is a game industry veteran with over 20 years of experience. Juan keeps refusing offers to work on the biggest commercial game engines to instead dedicate himself to Godot. But this has a cost: to keep development going at a rapid pace, we need funds. This Patreon covers Juan’s life expenses, and allows us to hire the most dedicated contributors to work full time for the project. But we can’t achieve that without you. We hire engineers whose work benefit all of you. People who can work on all areas of the engine, fixing key bugs, reviewing complex pull request (PRs) and improving existing features. These core contributors make sure that the engine gets ever more stable and productive for you to work with. NB: We are planning to use other channels to fund large new features. We are currently hiring Rémi Verschelde (Akien), Godot's Project Manager. Rémi brings Godot’s thousand contributors together, reviewing people’s code and coordinating this huge project. He’s also in charge of communication, events, and he organizes every release. You can read more about his tasks in this blog post. We now want to hire Pedro J. Estébanez (RandomShaper), a long time contributor. Pedro is an experienced engineer who can work on anything, so he can maintain and improve areas of Godot that currently lack a dedicated maintainer. We need him to build a bug-free engine on all platforms and across our supported features. Help us reach the next goal to hire him full-time! The Software Freedom Conservancy, a well-known non-profit and our kind partner, takes care of all donations. The organization works hard to preserve the freedom of free software. It supports many high-profile projects with everything related to law, accounting and taxes. They use the funds to hire developers according to instructions from the Godot Project Leadership Committee. This guarantees that your funds will solely benefit the engine, and nothing else. Note: 10% of our donations go towards supporting Conservancy’s activity (this is already included in the pledges). Our most heartfelt thanks! Even if just a bit, every contribution makes a difference. You get early development updates and sneak peeks, and a custom Donor role on the Godot Discord chat. We'll add your name to the patrons list in Godot's About box. We'll work on both a demo and a tutorial each month, based on community suggestions. You will have the right to vote on our pre-selection to pick what will be worked on. + all of the above, with your name bigger and higher in the credits. Join the monthly, backers exclusive live Q&A video! Ask your questions to the developers before the Q&A session, as well as on the live chat. The videos will be made public after the live broadcast. + all of the above, with 2 vote points for tutorials and demos. Each month, devs will propose a shortlist of approved features and fixes to prioritize in the month's roadmap, based on community suggestions. All of the above, with 2 vote points for features. Your name will be mentioned on the official website and at the top of the credits. + all of the above, with 3 vote points for tutorials and demos and 3 vote points for features. Your name or company logo on our website and at the top of Godot's credits. Valid on releases that come out during or right after you donated. Your name or company logo on our website and the editor credits, as well as on the Editor Splash Screen. Godot is used by tens of thousands of individuals, so let them know your company loves Godot! Hire Pedro Estebanez (RandomShaper) as full-time project generalist (to fix bugs and improve usability) + previous goals.